Press — Nick Engel & Co.
About the wedding: Molly & Jason’s intimate urban jungle wedding is the epitome of laid-back Los Angeles style. The wedding was held in a once 1980s smog-check center, SmogShoppe, which is now a 100% solar-powered, private 6,500 square foot indoor/outdoor haven for desert plants, vertical gardens and chic vintage furnishings. All of the wedding decor was DIY and everything at the wedding was personalized to showcase the fun and funky personalities of the bride and groom. Molly’s brother, a graphic designer, drew the custom “Jolly” wedding logo used throughout and her mom hand-painted all of the signs used at the venue. Her dad made the eight chocolate wedding cakes (the same cake he has made Molly every year for her birthday). 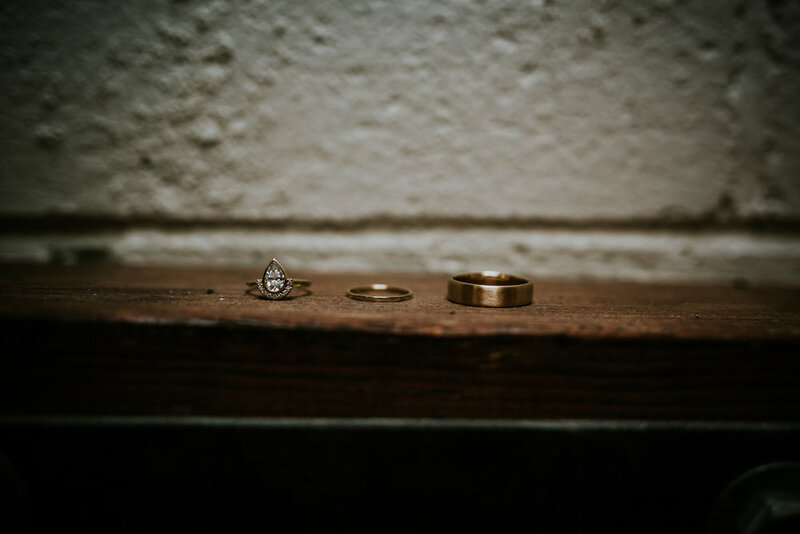 Even the couples’ wedding rings were handmade by the bride and groom themselves! 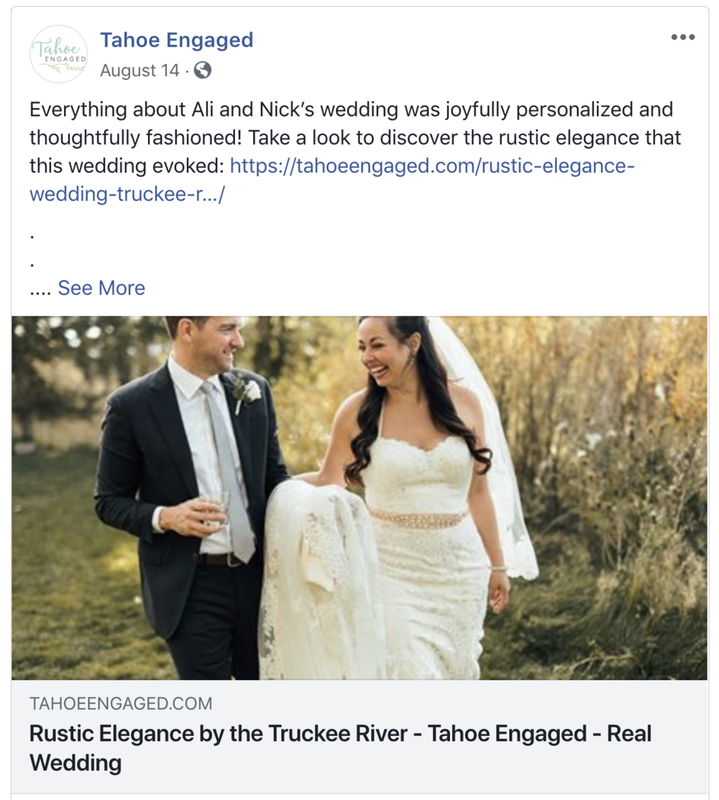 Feature in Tahoe Engaged: "Rustic Elegance by the Truckee River"
Feature in 7x7: "Wedding Inspiration: A Lake Tahoe Fête With Endless DIY Touches"
Feature in Little Bird's My Engagement Ring Story: "Nick Engel's Engagement Story #singletoengel"
Offbeat Bride: "4 ways Little Bird can help you find or design your dream ring"
WHO WHAT WEAR: "The Best Hidden Spot to Shop for Jewelry in L.A."
Initially, the 500-square-foot jewelry store was sparse; it had only 12 collections after the first three months. 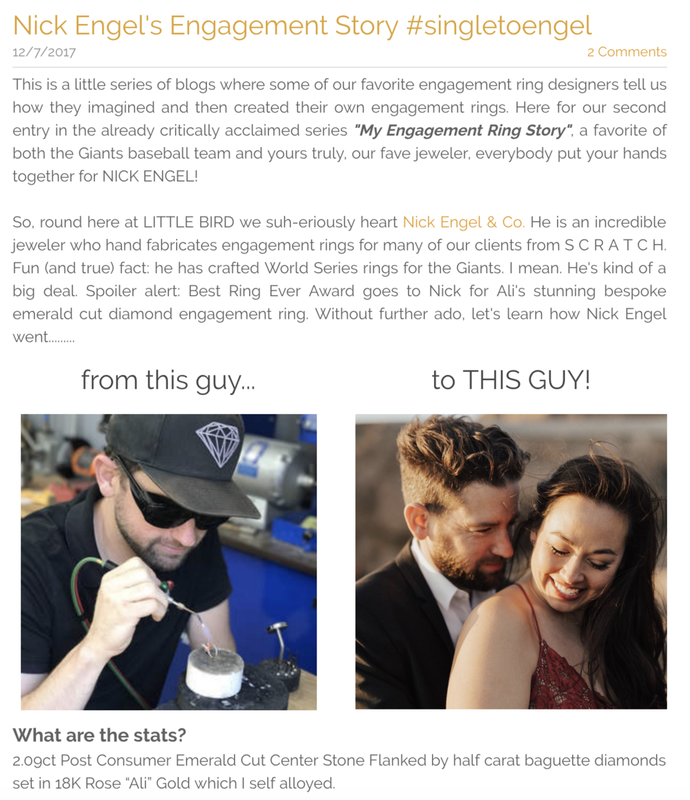 Since then, Love & Luxe has grown to include pieces from 40-plus designers, including a number of handcrafted cases—some of them fabricated by the artists themselves...Among the newbies: Nick Engel, who specializes in CAD (his rings that read I LOVE YOUR FACE are a customer favorite).